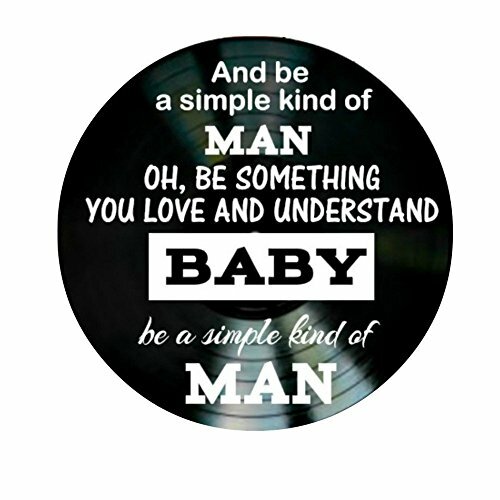 Lynyrd Skynyrd Simple Man song lyrics are cut from vinyl and applied to a vinyl record. The original label is painted black so the music lyrics are the main focal point. Easily hung on the wall with mounting tape that is included. Your record can also be displayed in a frame that is made to hold vinyl records. Frame or easel not included. If you have any questions about this product by VinylRevamped, contact us by completing and submitting the form below. If you are looking for a specif part number, please include it with your message.